Sully79 - Pennsylvania Good thing they’re rebuildable "I crashed, face first, lightly...the lens got scratched beyond use and one of the outriggers broke. 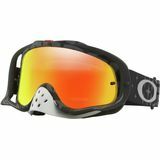 I would expect such an expensive goggle to withstand some abuse, but these do not. Thankfully they are rebuildable, but at a cost. The cost for a set of outriggers and lens is abt the same price as some other good quality goggles. 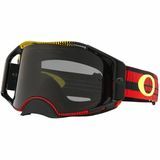 Other than that, they’re the best goggles I’ve ridden with. Great field of view, they’re vented well so I haven’t had any problems with fogging and they’re comfortable. I wish I could give them 5 stars but they’re just too fragile"